Australia’s largest credit union has announced that the share of broker lending has risen dramatically over the past year, growing by half a billion dollars and now accounting for more than half of total mortgage lending. Credit Union Australia has reported a strong full-year lending result with a total of $3.10 billion in new home loans issued during FY18. The broker channel accounted for $1.62 billion of the lending, or 52 per cent of CUA’s new mortgage lending, during the 12 months to 30 June 2018. CUA chief sales officer Paul Lewis said that this was a significant uplift from the previous financial year’s result, when 41 per cent of mortgages came from the third-party channel. “We’ve seen the volume of broker-originated lending increase by around $580 million from a total of $1.04 billion in FY17. “At the same time, we’ve also seen the share of broker lending increase from 41 per cent of total mortgage lending last year to 52 per cent this year,” Mr Lewis said. He noted that this increase in broker lending brought CUA more in line with the total industry share of mortgage broker lending, and reflected “the strength of CUA’s broker relationships”. “Given the strong consumer preference for mortgage brokers, accounting for more than half of all mortgages at an industry level, it is important for CUA to be available to consumers in the channel of their choice,” the chief sales officer said. Other improvements during the year included the introduction of a dedicated broker member specialist to onboard broker-introduced members and educate them on the full range of other CUA products and services. Overall, CUA Group reported a net profit after tax (NPAT) for the year to 30 June 2018 of $54.79 million, down by 1.9 per cent on the prior year. 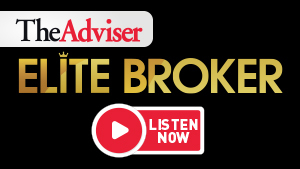 Find out more about how CUA has been working with brokers and what the broking industry thinks of CUA in next month’s edition of The Adviser magazine, which includes the Broker’s Guide to Non-Major Lenders supplement.